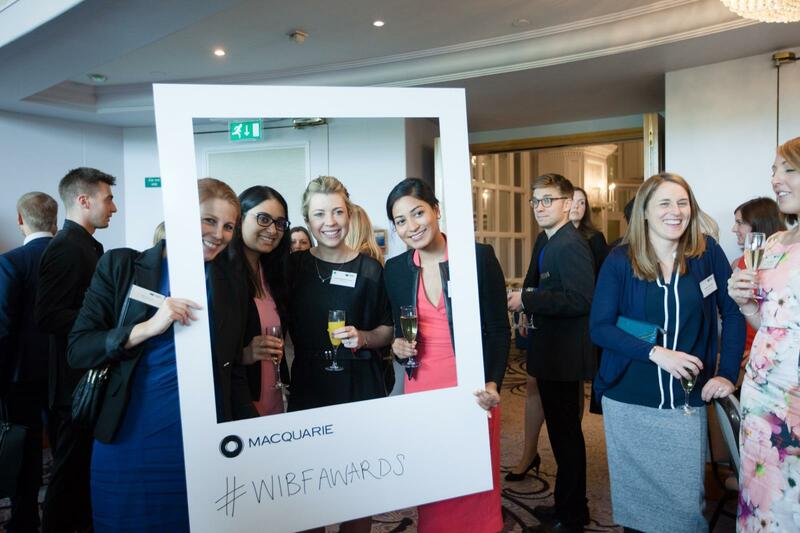 The annual WIBF Awards for Achievement Luncheon is always an inspirational occasion. 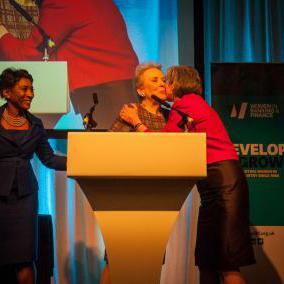 However, the 2016 Luncheon might be the best yet. 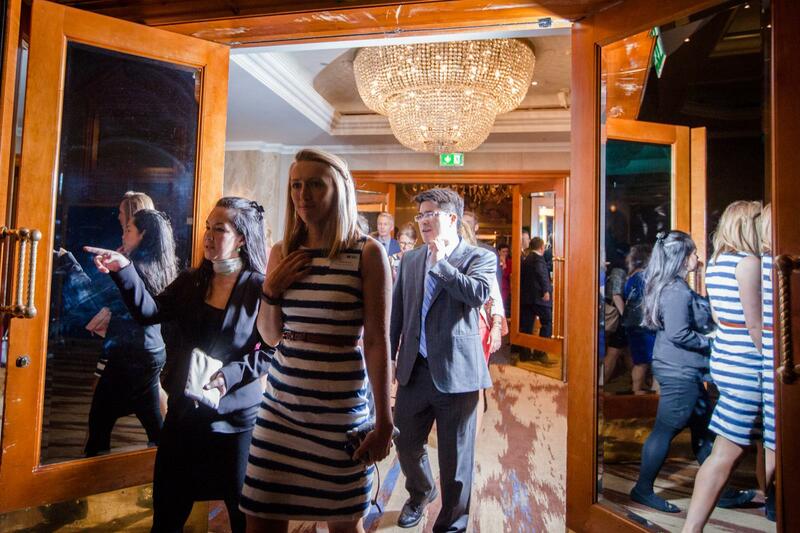 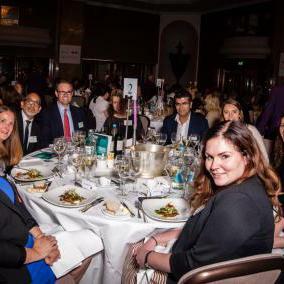 A move to the ballroom of the London Hilton on Park Lane meant that more members than ever before could join the celebration of top talent in the banking and finance industry. 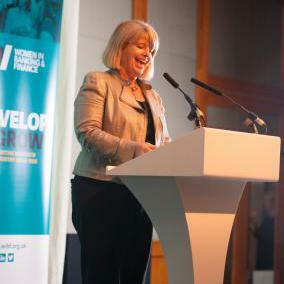 The Economic Secretary to the Treasury (City Minister), Harriett Baldwin MP, and Chair of the British Bankers’ Association (and WIBF Patron), Noreen Doyle, gave inspiring addresses to the senior figures in banking and business gathered together to find out who had won this year’s WIBF Awards for Achievement. 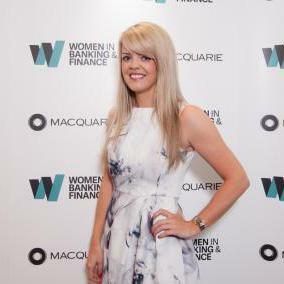 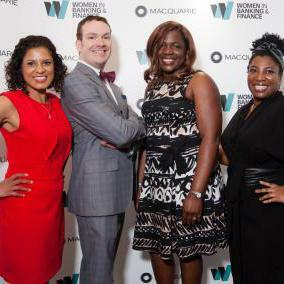 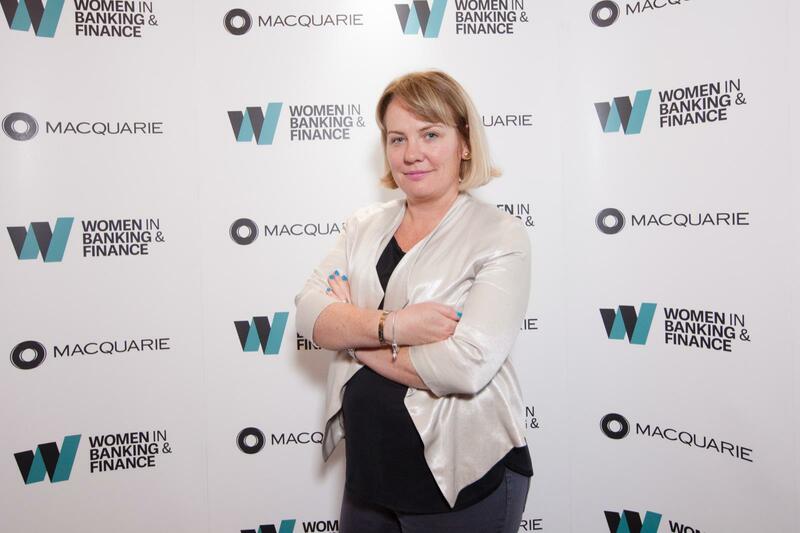 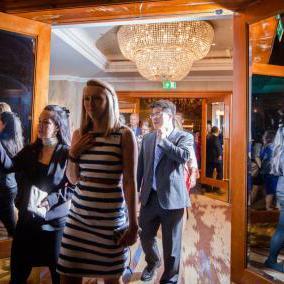 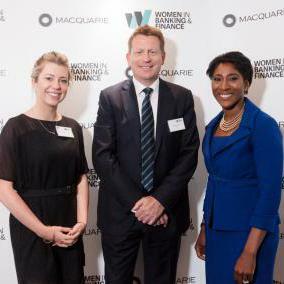 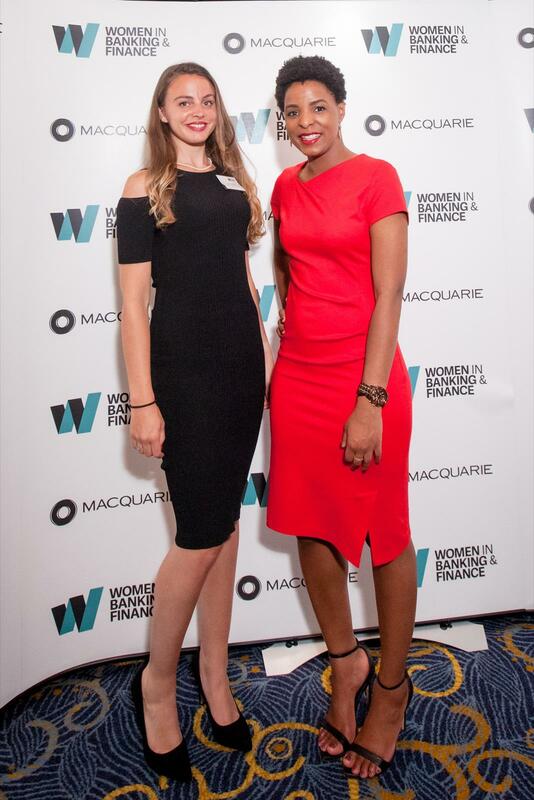 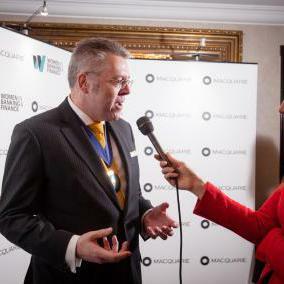 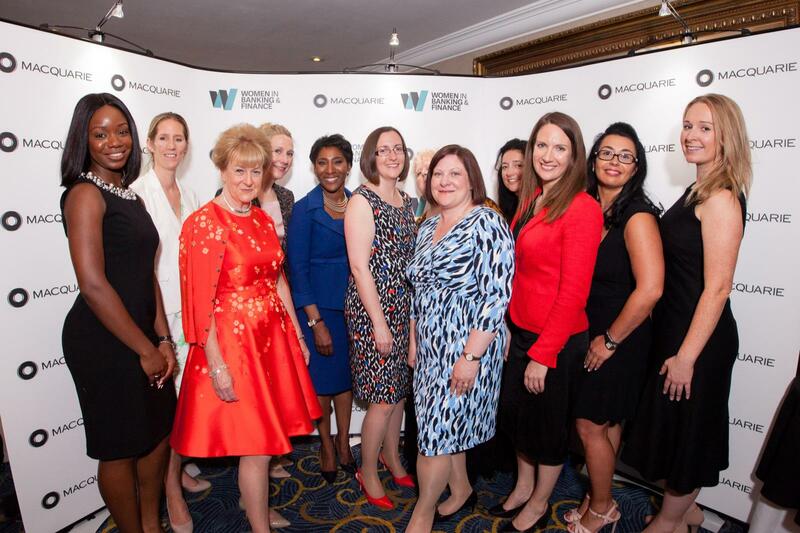 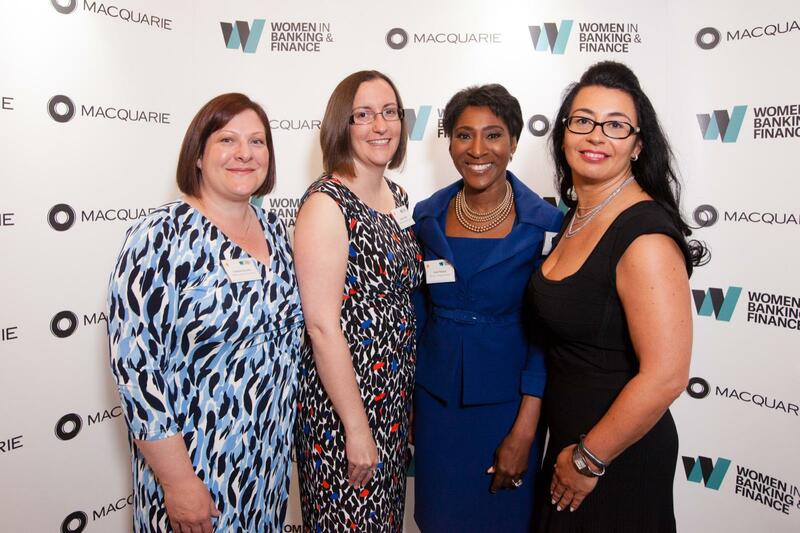 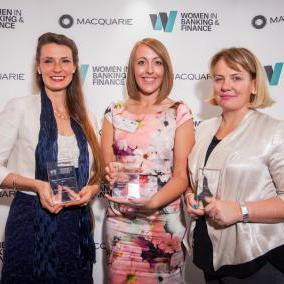 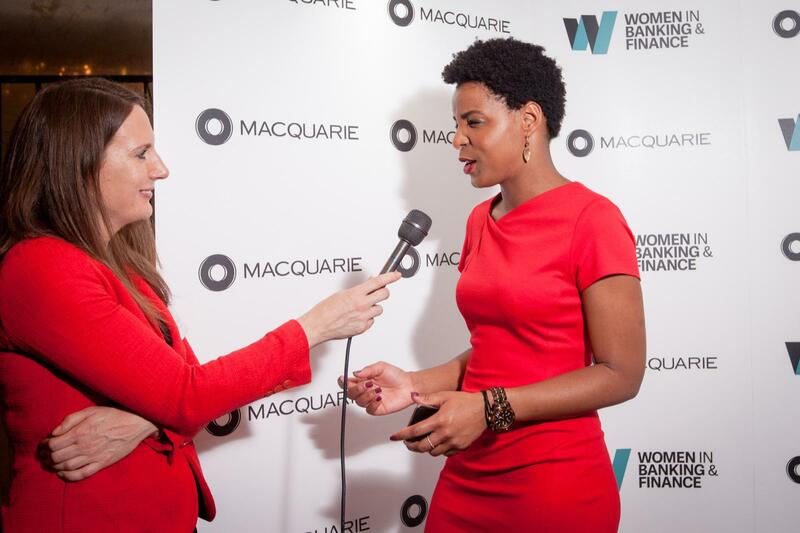 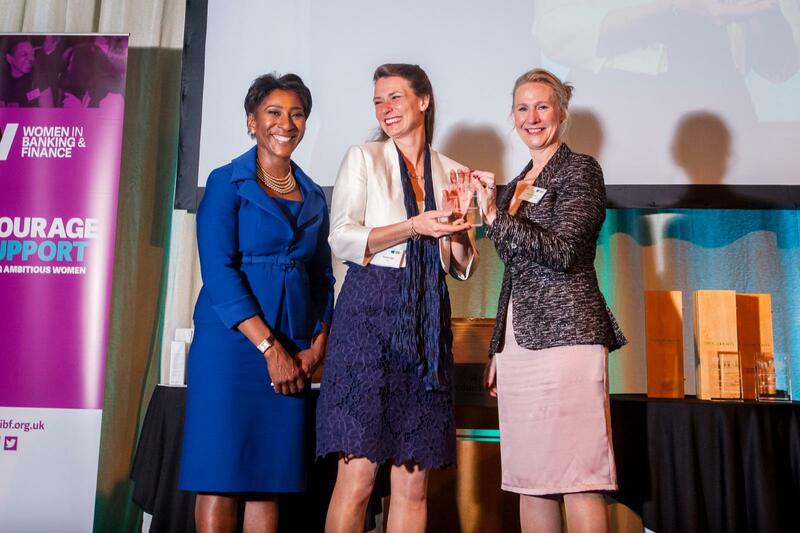 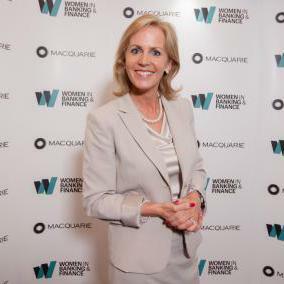 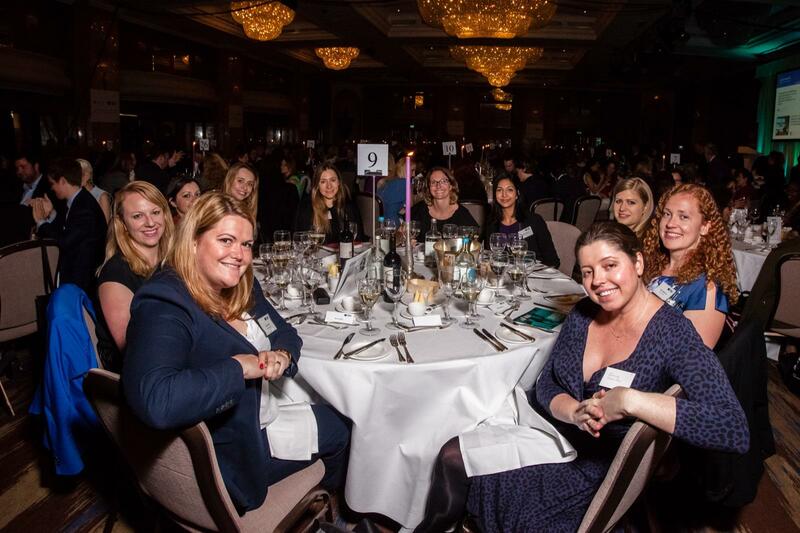 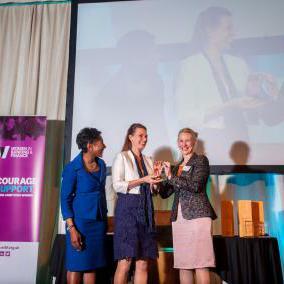 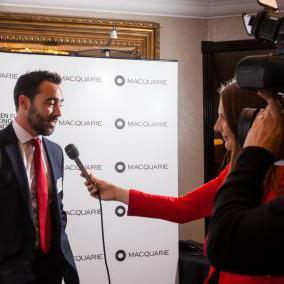 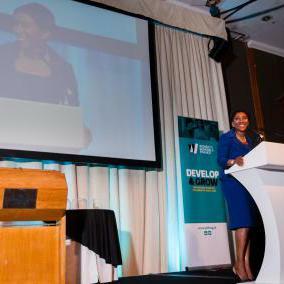 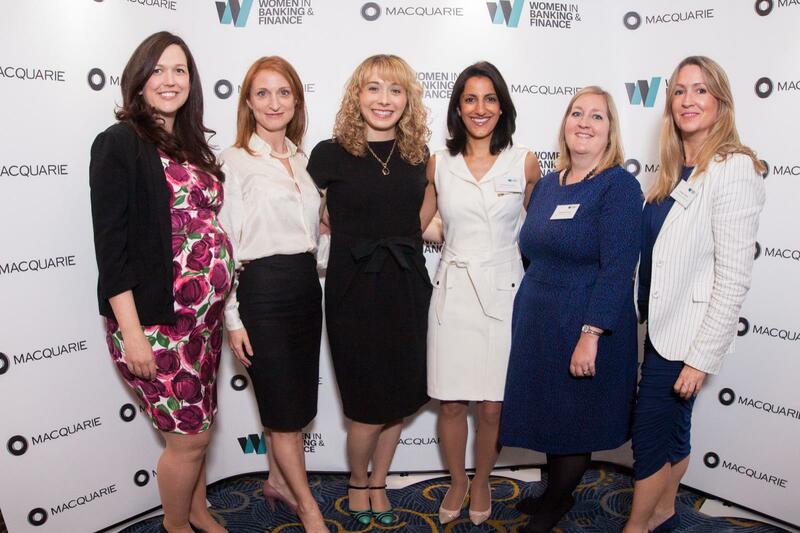 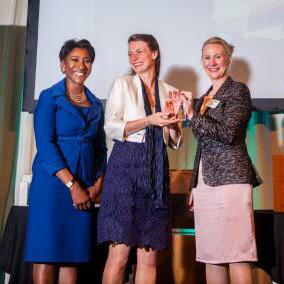 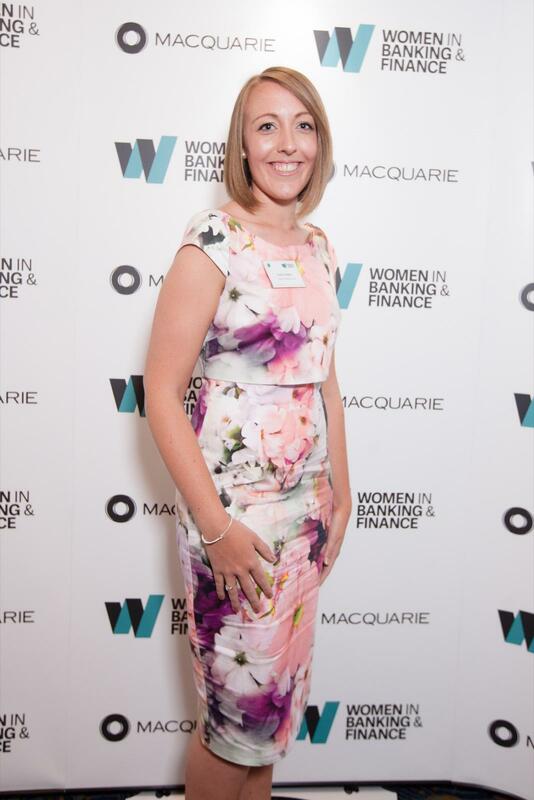 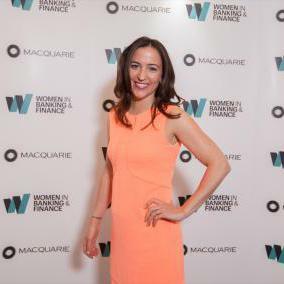 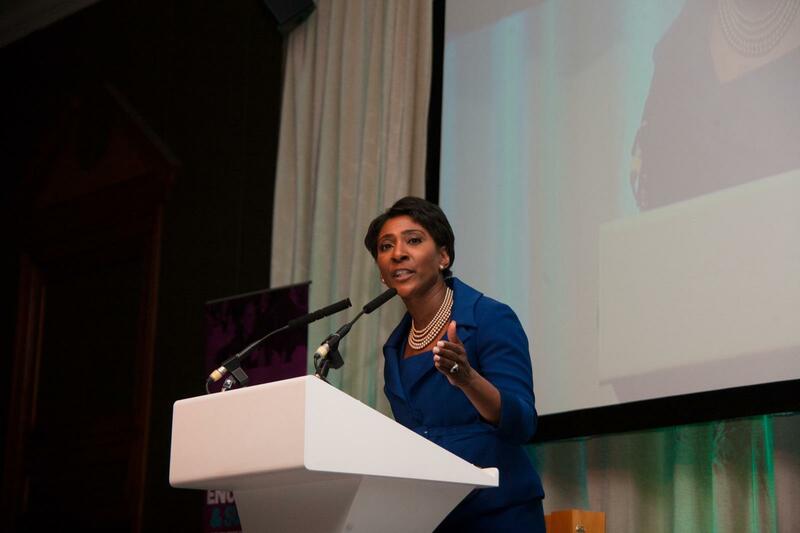 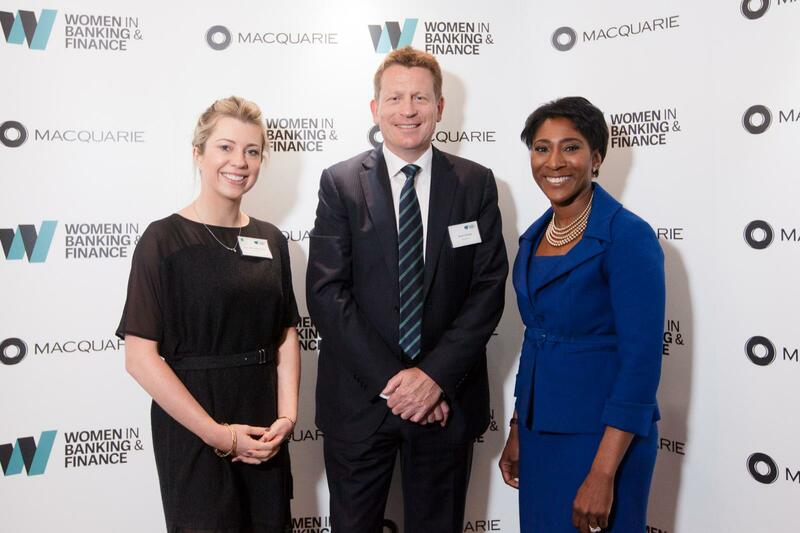 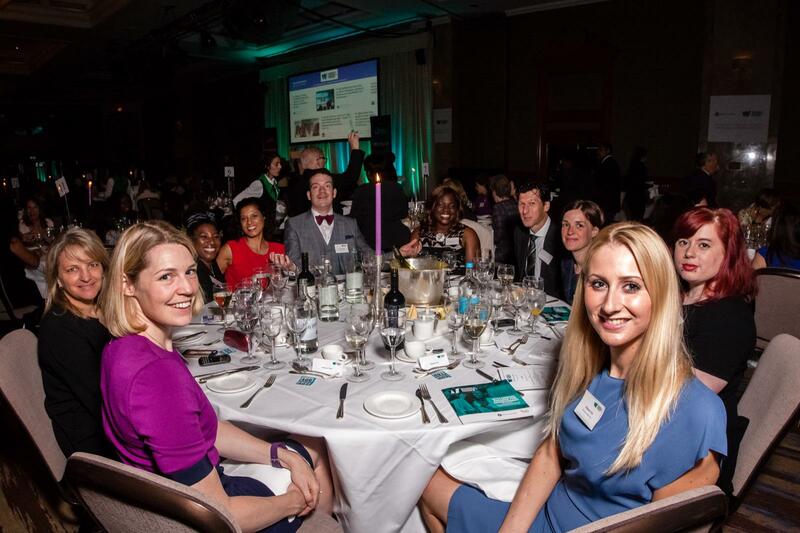 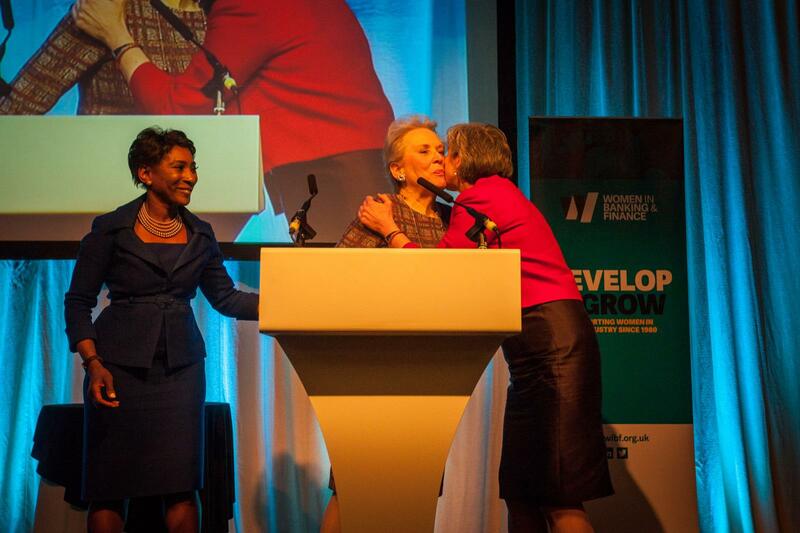 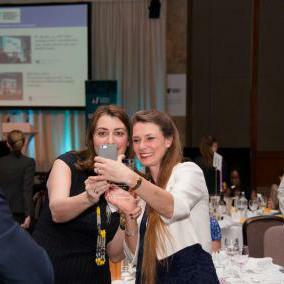 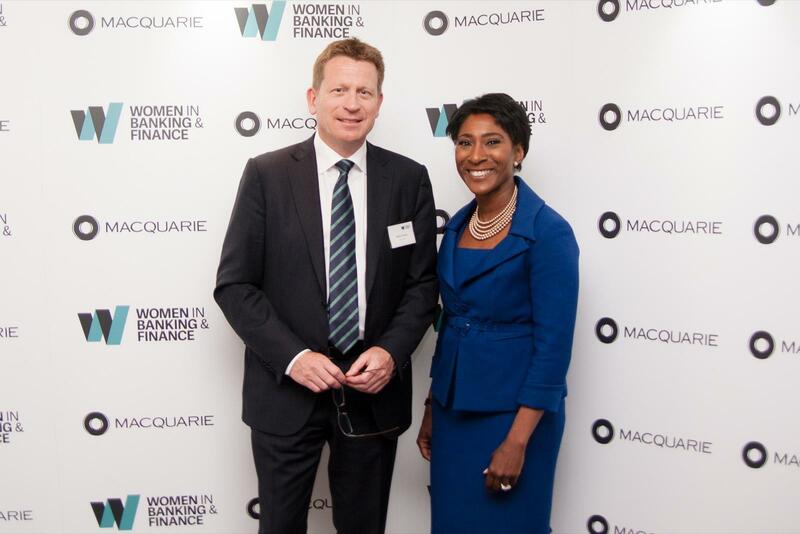 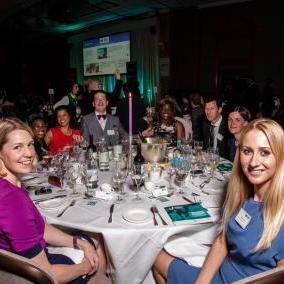 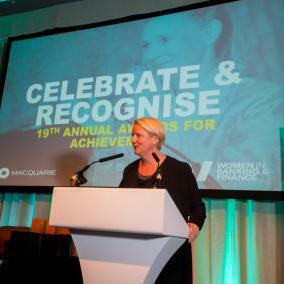 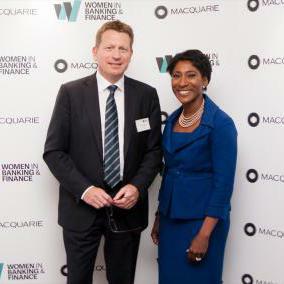 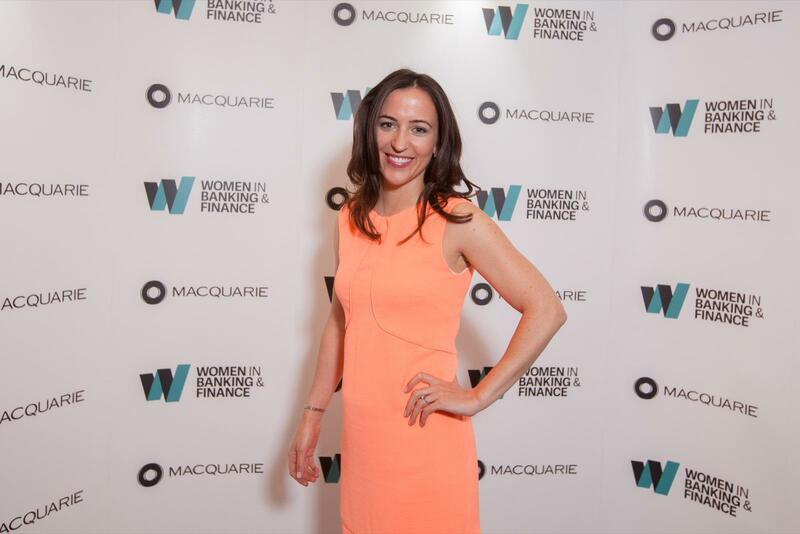 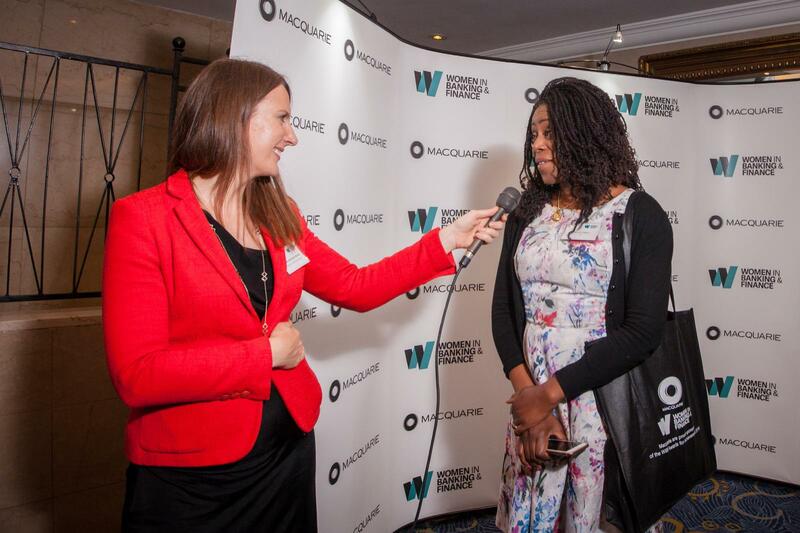 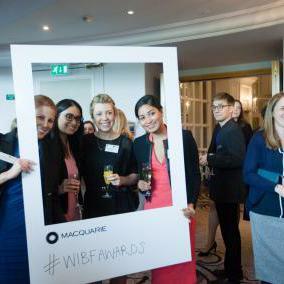 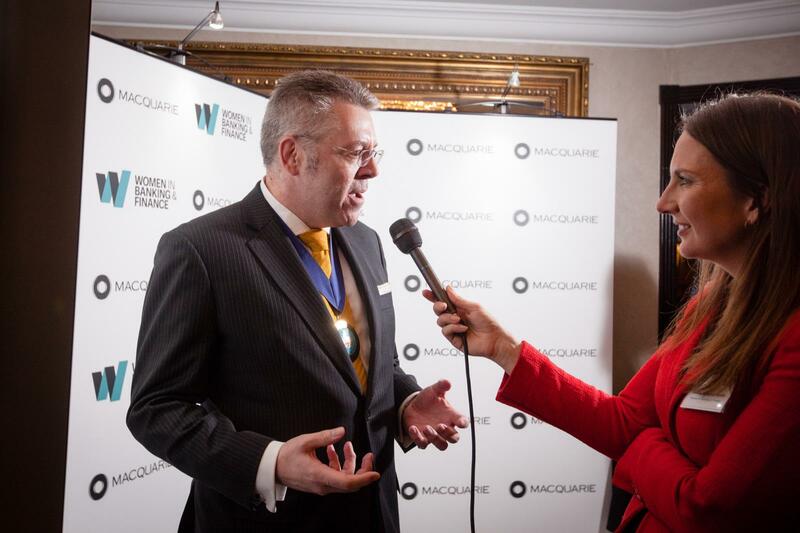 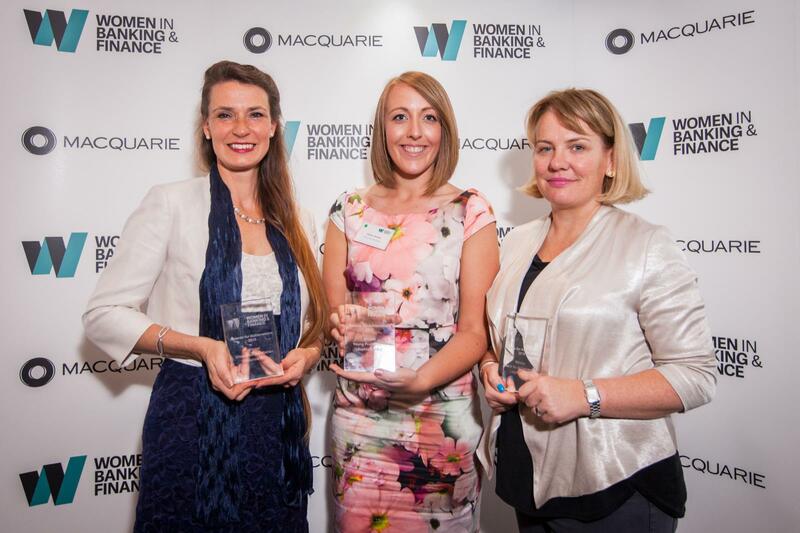 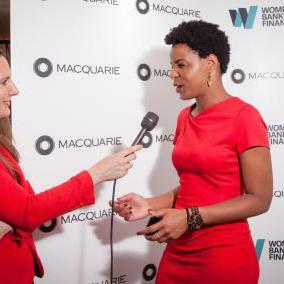 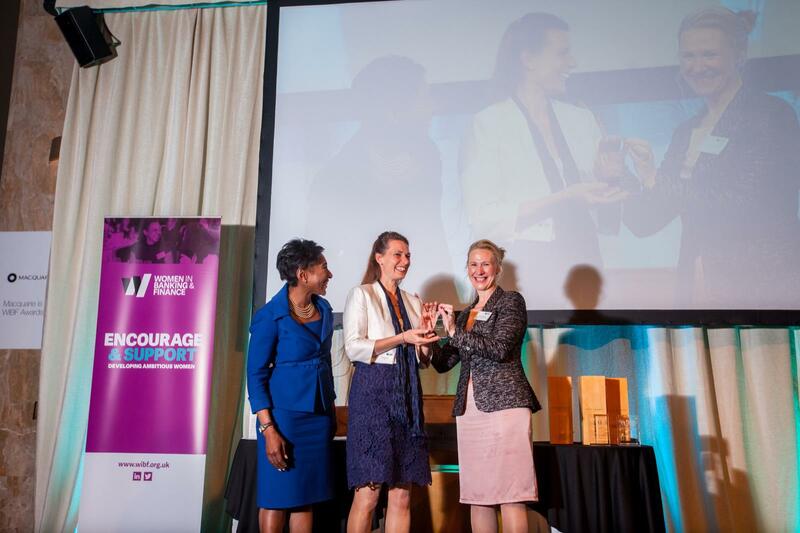 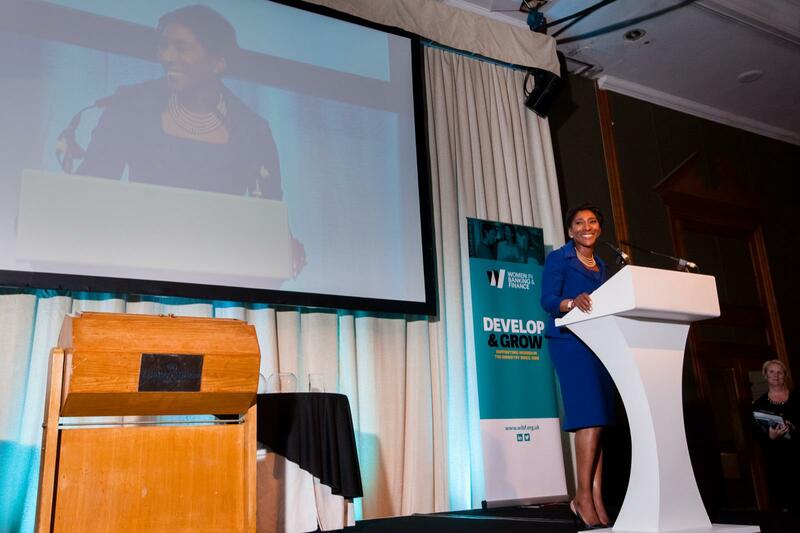 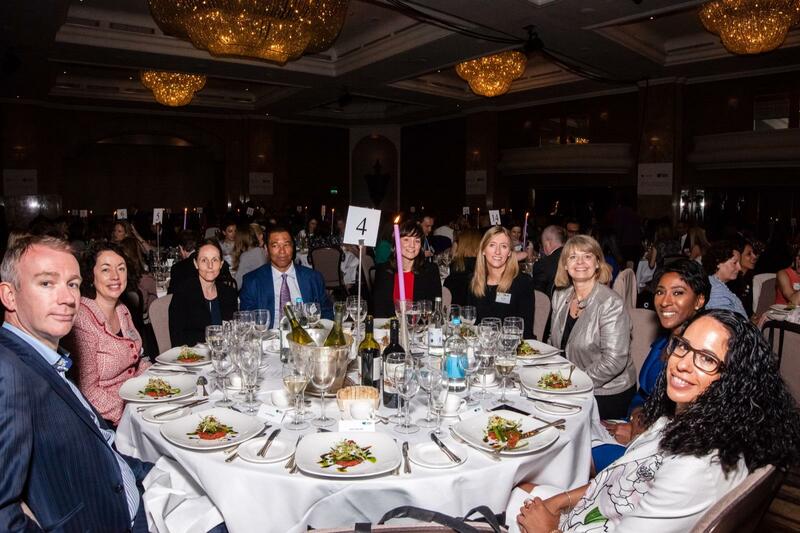 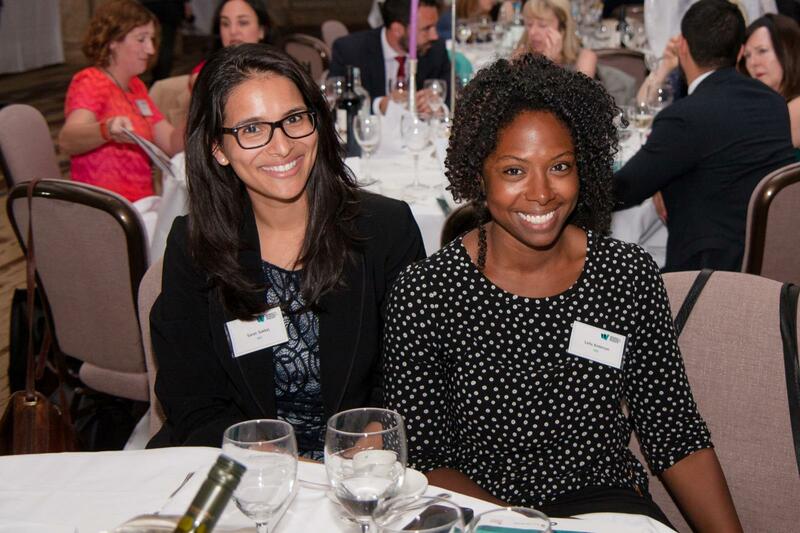 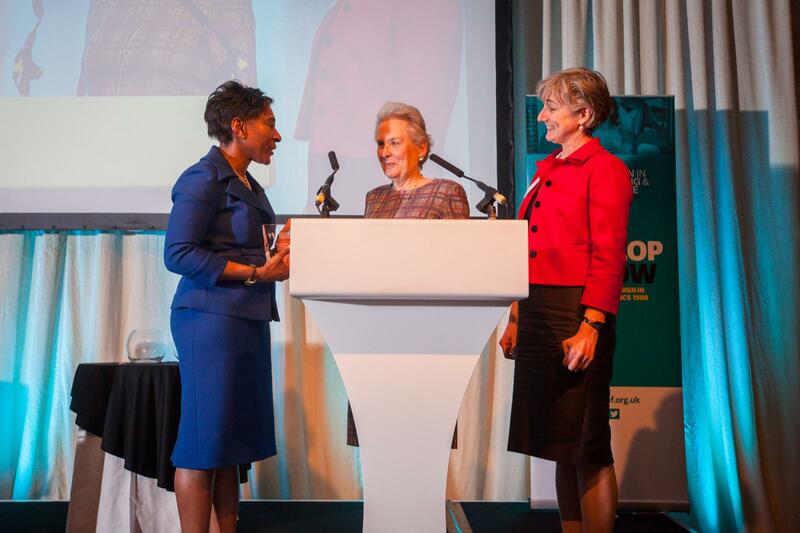 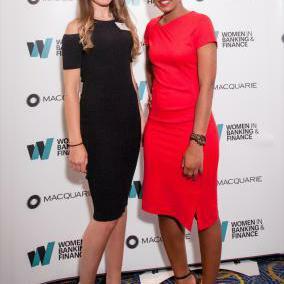 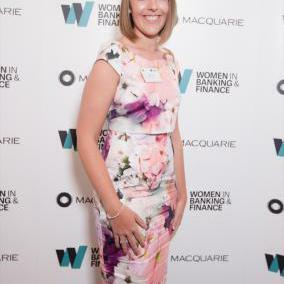 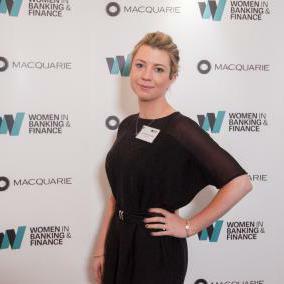 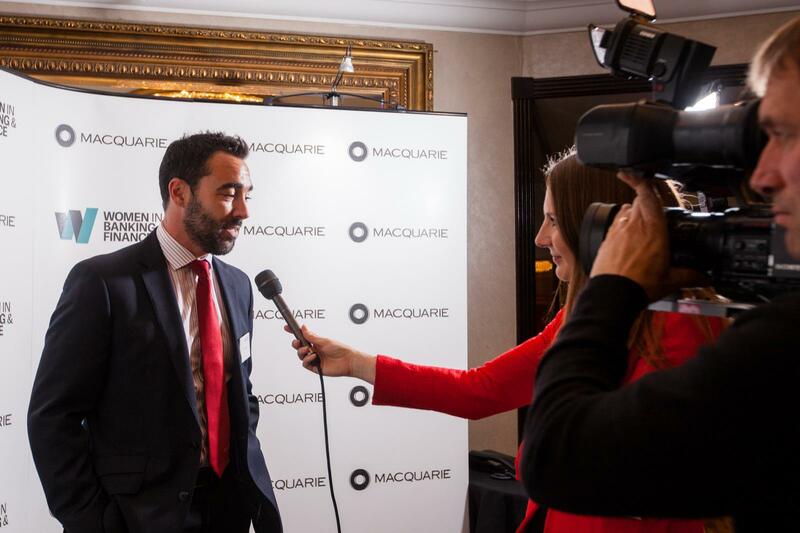 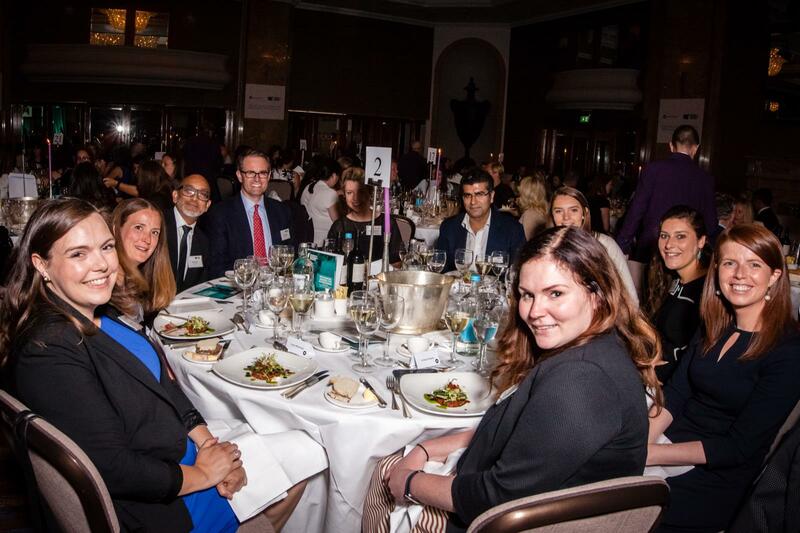 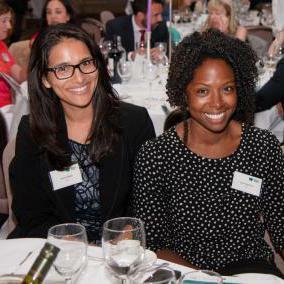 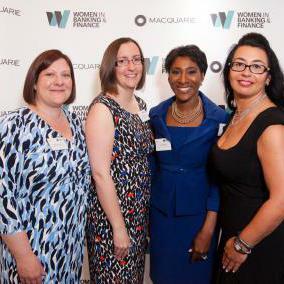 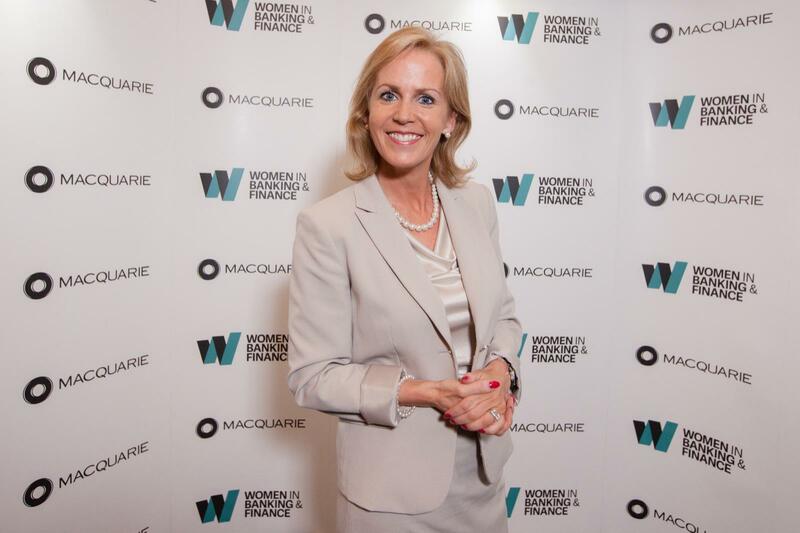 WIBF was delighted that Macquarie was the headline sponsor for the Awards for Achievement Luncheon. 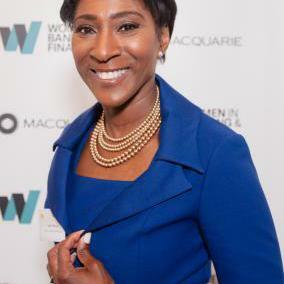 Celebrating a woman who has achieved success within a senior role and who displays qualities of dynamism and daring. 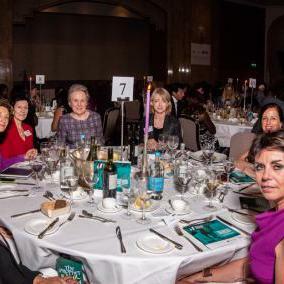 Candidates have excelled in their professional life and have also shown an ability to use their skills outside of their own career by either serving on boards of other organisation or by being involved in furthering the interests of women in the workplace. 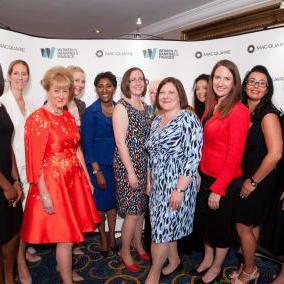 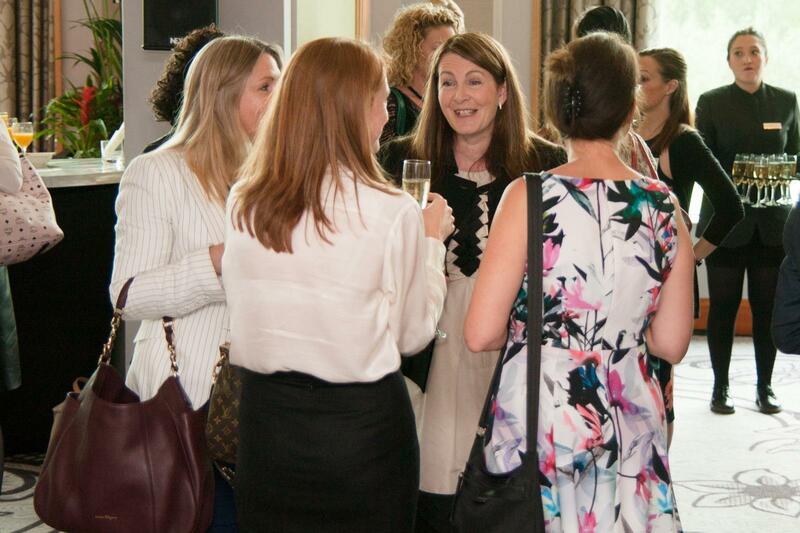 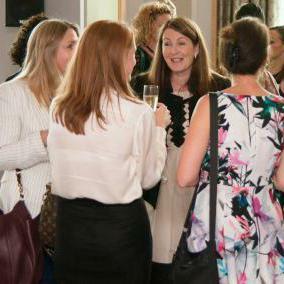 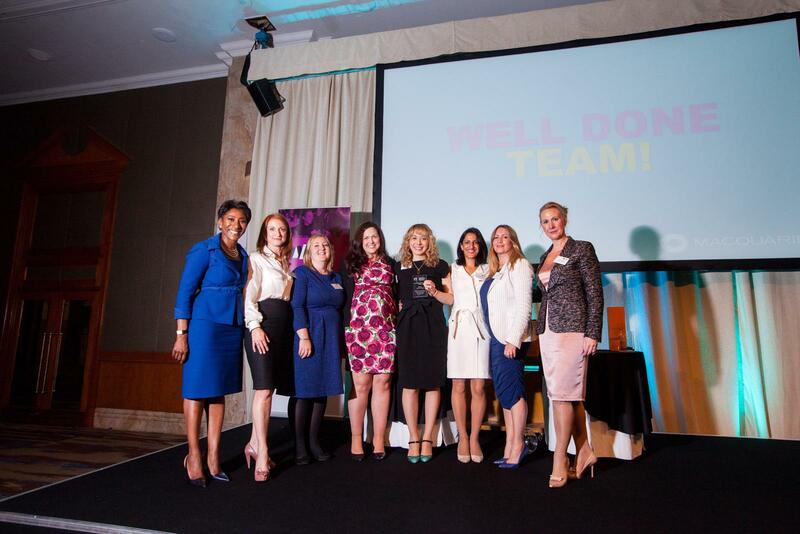 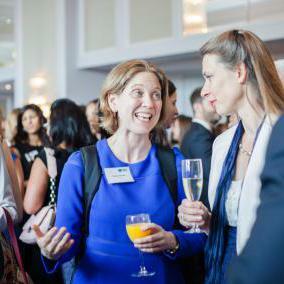 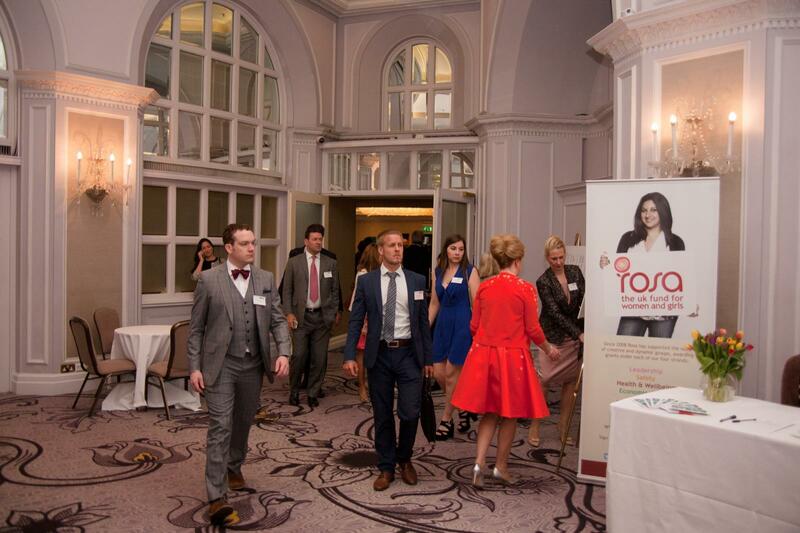 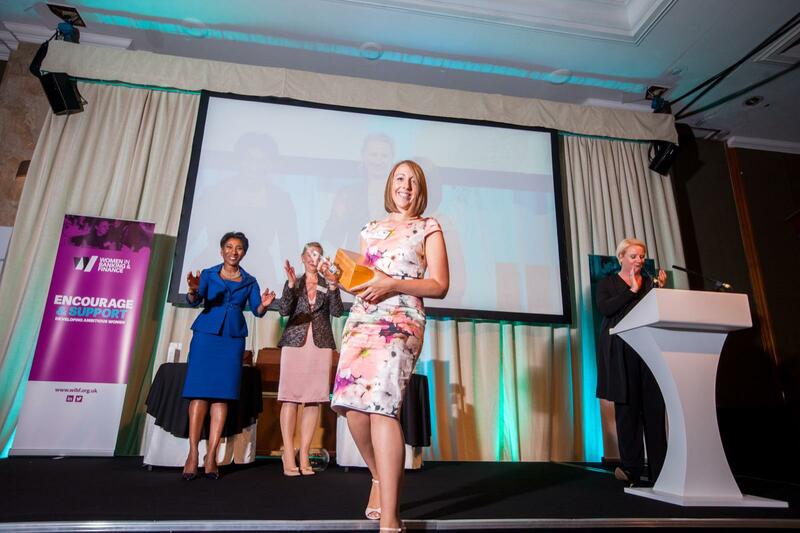 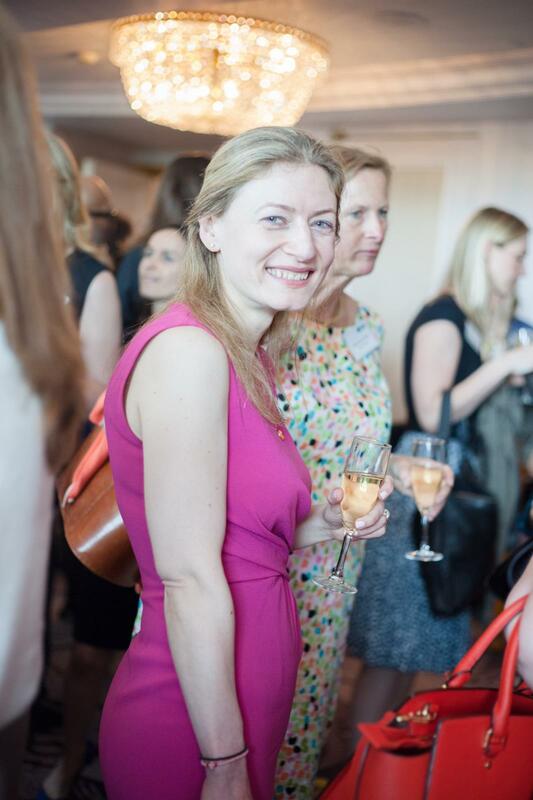 Celebrating a woman aged 35 or younger who is making a significant impact in an organisation. 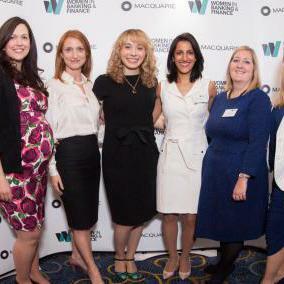 The panel look for women whose contribution to date makes her 'one to watch'. 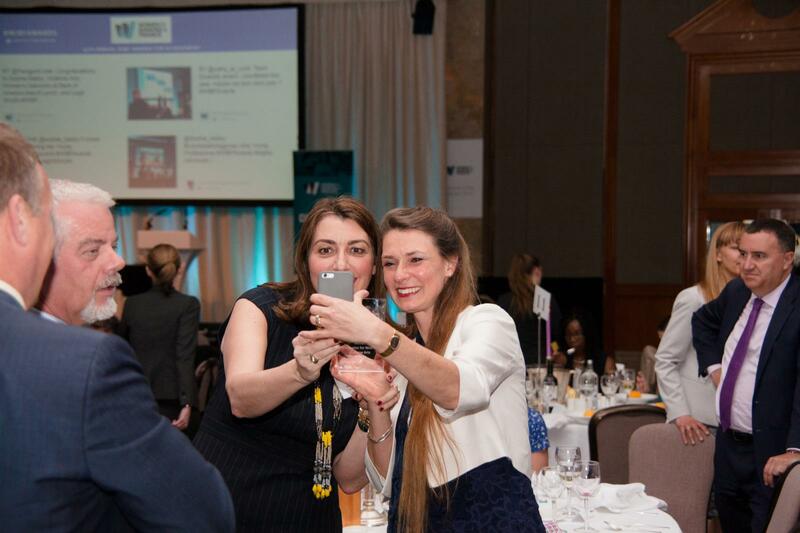 Young professionals are shaping their organisation, not just in terms of financial success but also as being an example to others. 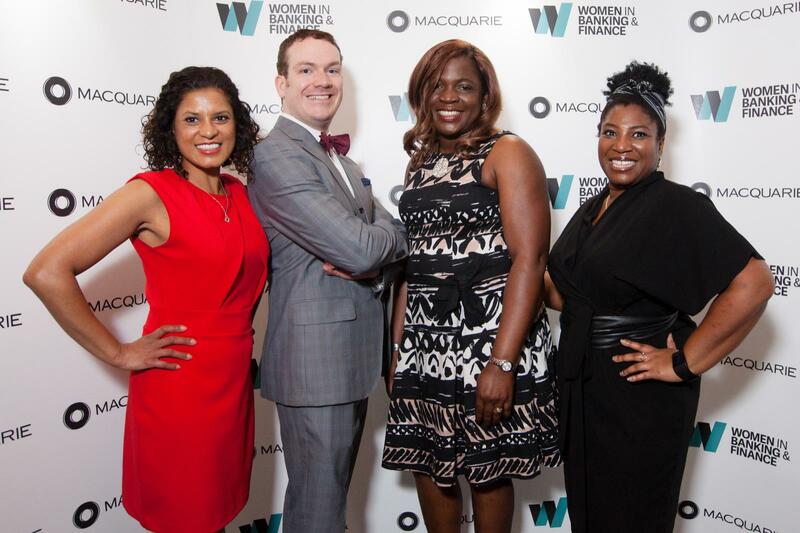 Celebrating a seasoned professional, man or woman, who through personal commitment, application and dedication, continuously promotes and inspires women in the workplace to reach their full potential. 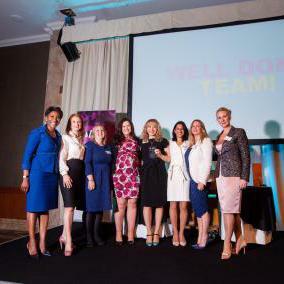 Celebrating team success in promoting diversity in the workplace. 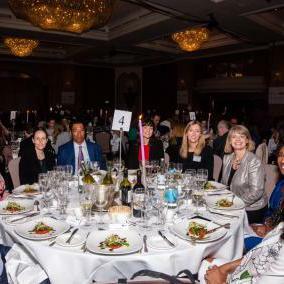 The team may be a business line team that has driven and embedded the diversity agenda or a specalist function (such as HR or Diversity & Inclusion) that partners the business to provide vision and framework. 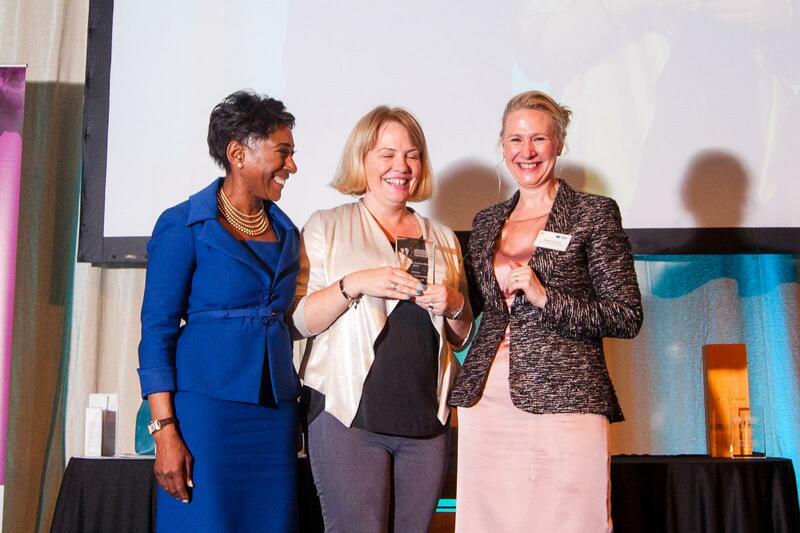 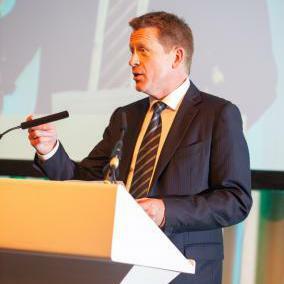 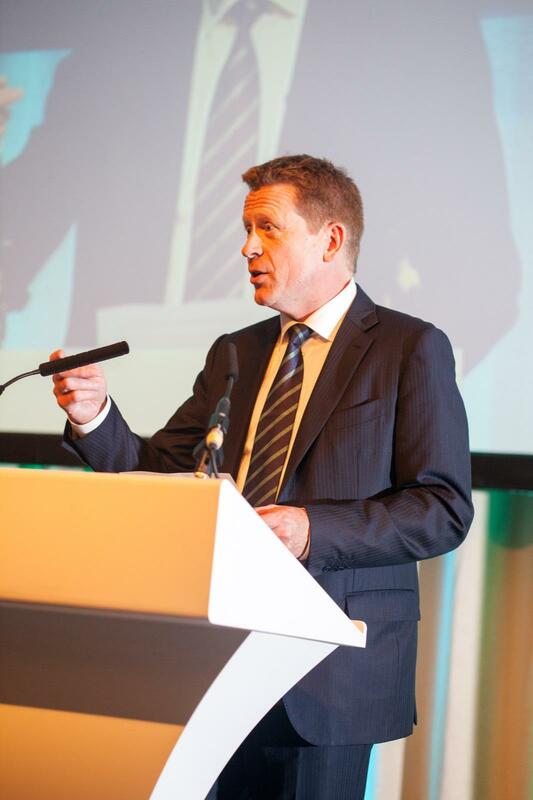 Leigh Smyth is responsible for driving the digital inclusion agenda for Lloyds Banking Group, supporting its Helping Britain Prosper Plan and empowering more than 80,000 colleagues to play a role in delivery by becoming Digital Champions. 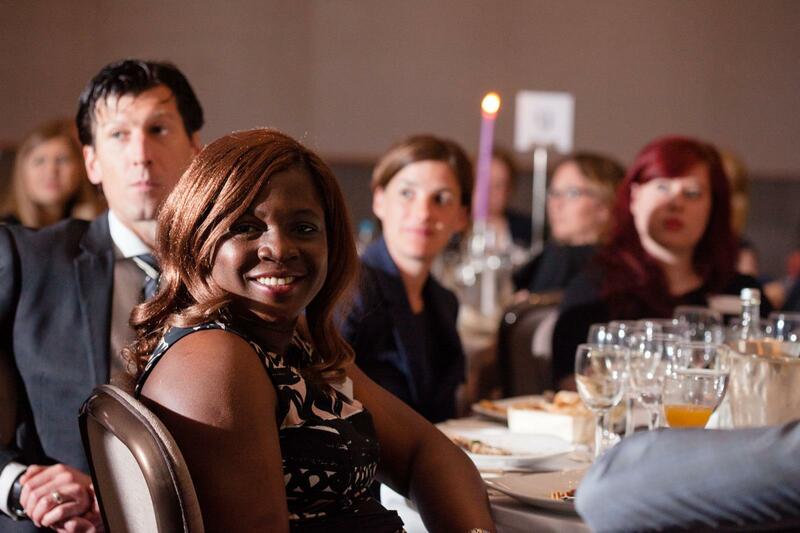 Leigh is forward thinking and is testing innovative prototypes looking to solve the digital skills gap in the UK. 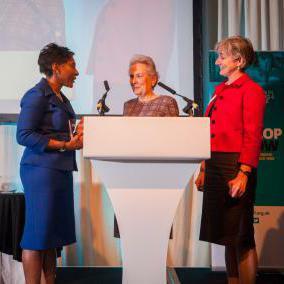 A recent example included looking to create employment for young people by matching them to small business customers in need of digital support (Digital Connect Pilot). 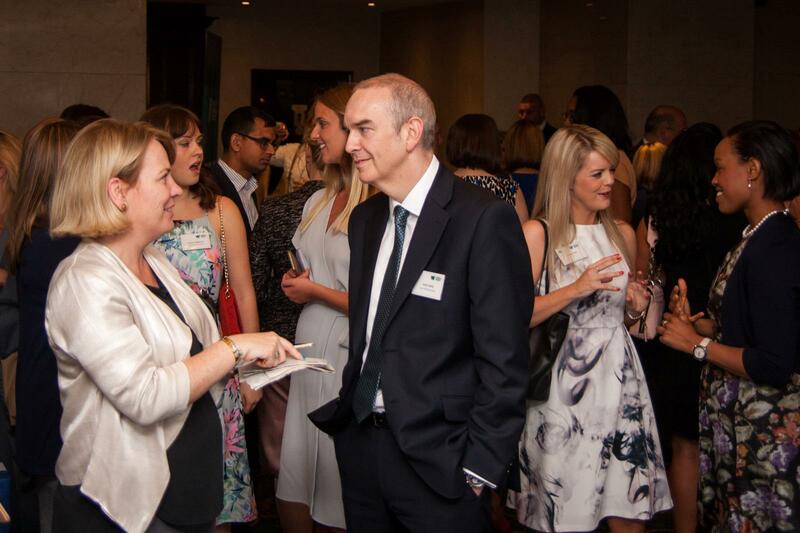 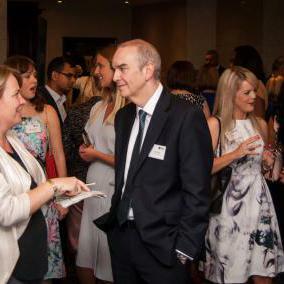 Leigh works tirelessly to build and maintain relationships for the Group with partners across the UK, which has resulted in the creation of tools and insight with key practitioners including Go ON UK and the Tinder Foundation. 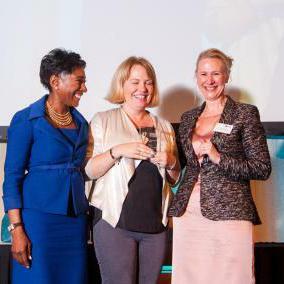 Leigh delivered the Lloyds Bank Business Digital Index in 2015 and the first ever Consumer Digital Index in early 2016, the largest longitudinal study of financial and digital capability ever conducted in the UK, in partnership with Accenture, Toynbee Hall and Go ON UK. 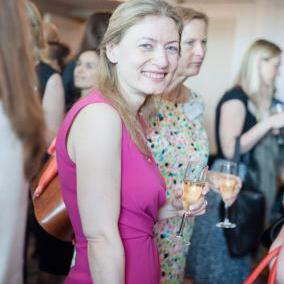 The Consumer Index has raised more than £300,000 in PR value and more than 8 million Twitter impressions for the Group. 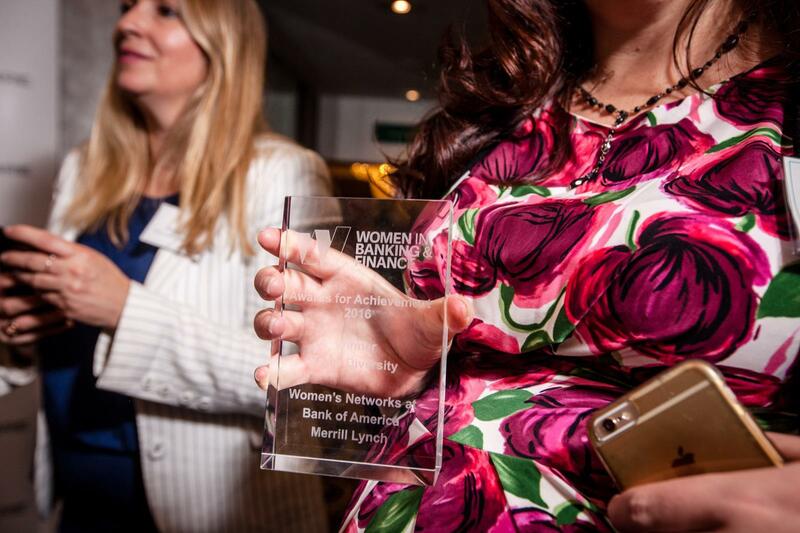 Women’s Networks at Bank of America Merrill Lynch play an essential role in building the culture of the company, and in placing diversity and inclusion at its heart. 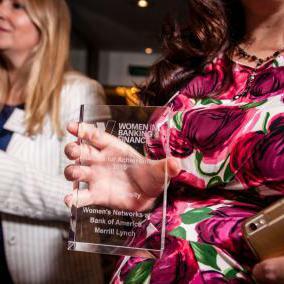 Internally, they help develop role models and create mentors; they ensure that Bank of America Merrill Lynch’s recruitment policy encourages candidate diversity; and they establish support for female staff, which is helping to boost retention rates. 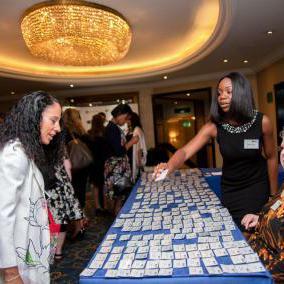 With 22,000 members throughout the world, these networks are central to the day-to-day functioning of the bank and help to develop a diverse and inclusive team culture. 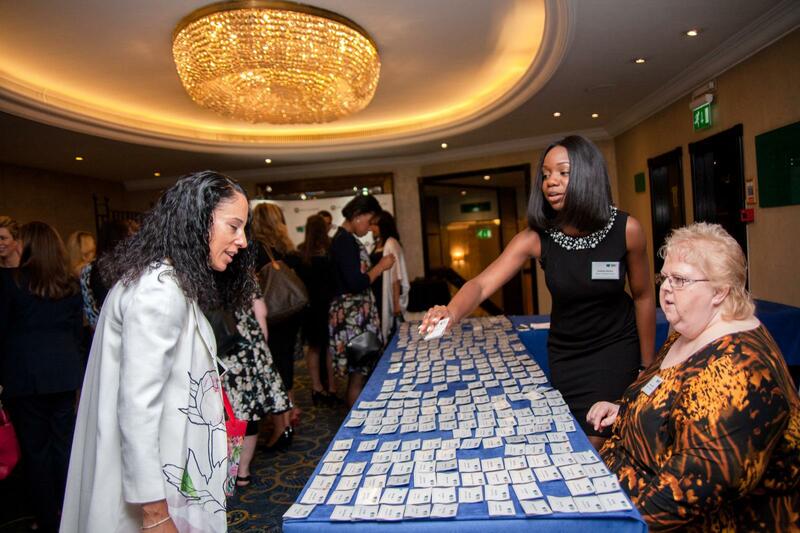 Through partnerships with charities like Teach First, Stemettes and Code First for Girls, the networks are helping to break the barriers to pursuing a career in financial services. 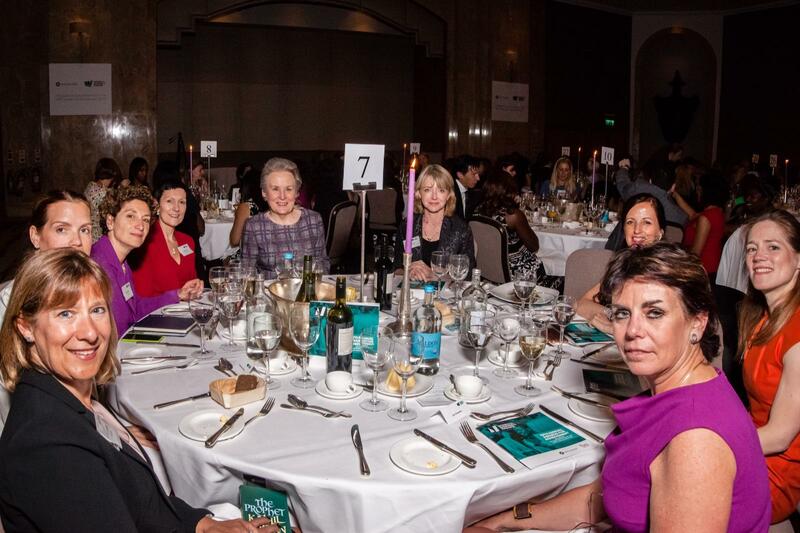 Similarly, members’ volunteer efforts with Inspiring the Future and Inspiring Women are helping to pave the way for the next generation of female leaders. 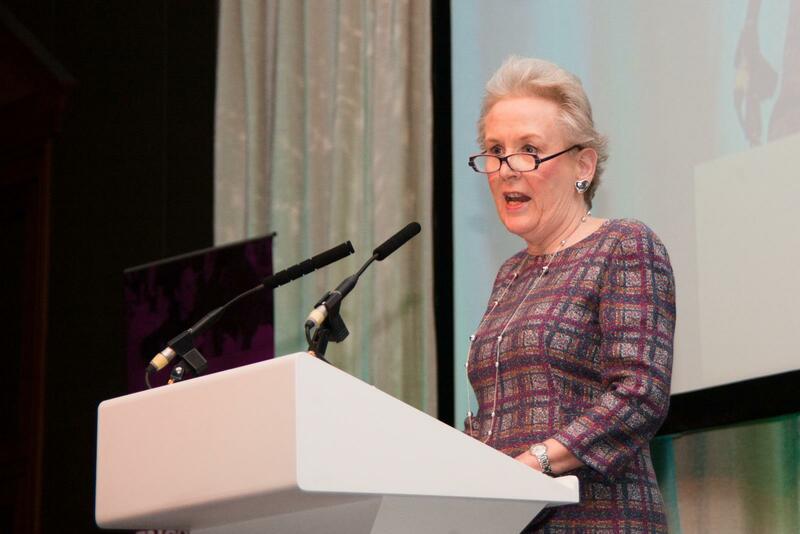 Vivienne is an accomplished, principled and enthusiastic champion of women not only through thought and voice, but also through action and active sponsorship of a number of significant initiatives. 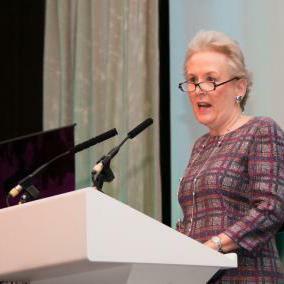 Vivienne set up and chaired the Legal & Compliance Women’s Group at Citi, co-founded Women Leading Privacy in the UK (an external and cross-sectoral network), and initiated and chaired the first EMEA Legal Diversity Committee, with a specific focus on gender. 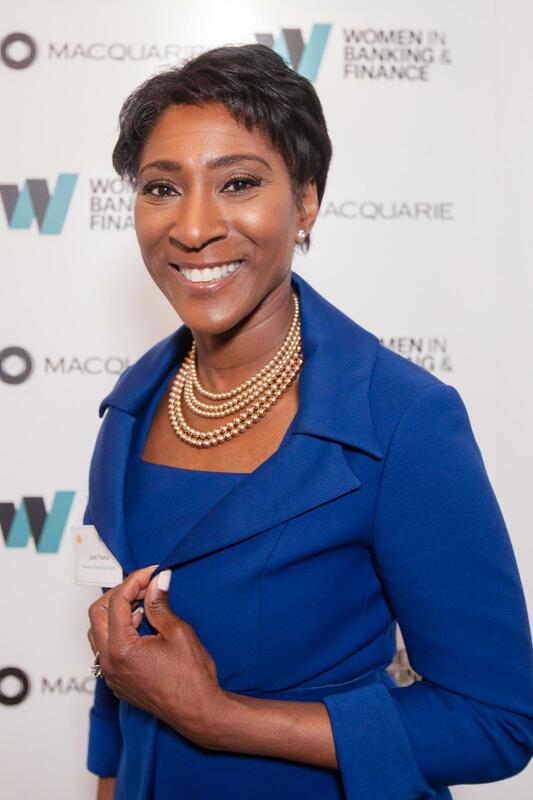 As co-chair of the Citi Women Diversity Network for two years (now on the Steering Committee), Vivienne oversaw the transformation of the network in several ways, with membership increasing by 50%. 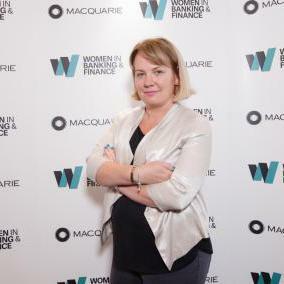 She is Chair of the Data Protection Working Group for the Association of Financial Markets in Europe and Chair of the Data Working Group for the International Regulatory Strategy Group. 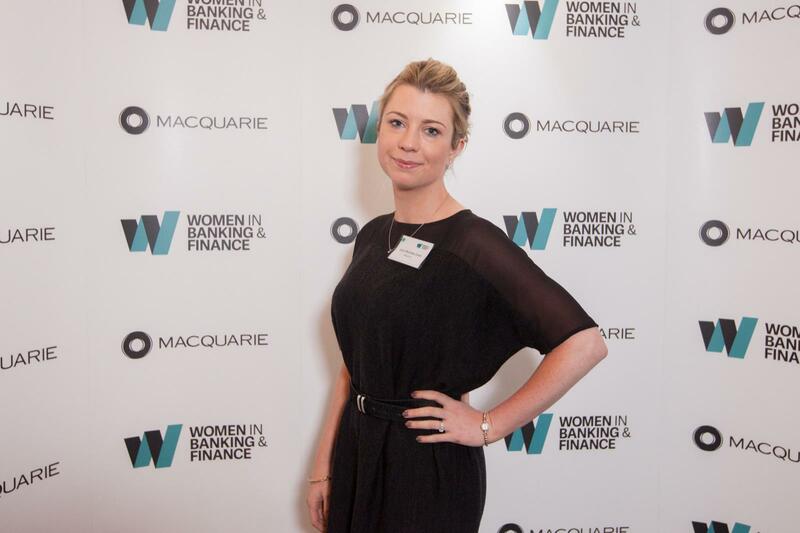 Sophie, 25, is responsible for building and maintaining key partnerships for Lloyds Banking Group across the UK to enable digital inclusion. 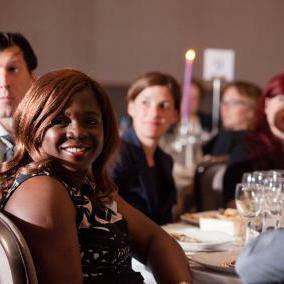 She works tirelessly to share the tools and resources created by the Digital Inclusion team and partners and played an integral part in the launch of Go ON UK’s Go ON London Boroughs initiatives. 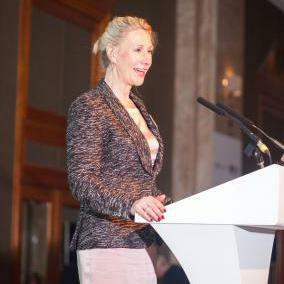 She has built a number of strategic partnerships to deliver digital skills training to the Groups charity and business customers. 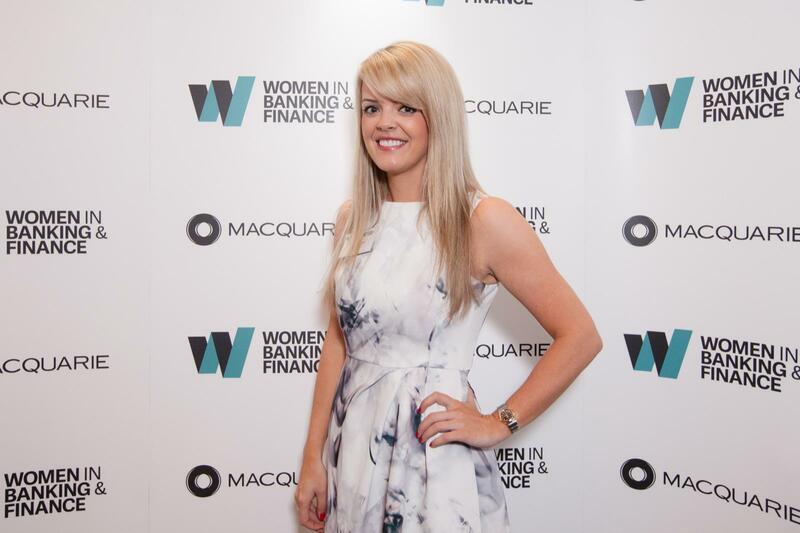 In 2015, Sophie completed a Professional Diploma in Banking Practice and Management with the Institute of Financial Services and obtained the APMP Advanced Project Management qualification. 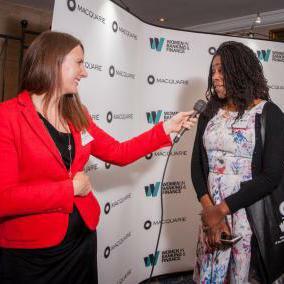 She was recognised in the 2015 Guardian 300’s publication as a Rising Star alongside just nine others across the UK. 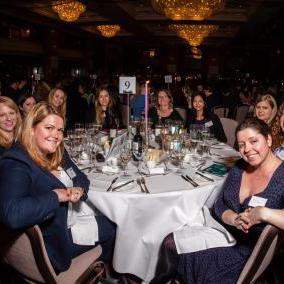 Sophie has been heavily engaged in the Group’s responsible business agenda, leading a team in the Graduate Charity to Challenge to raise more than £27,000. 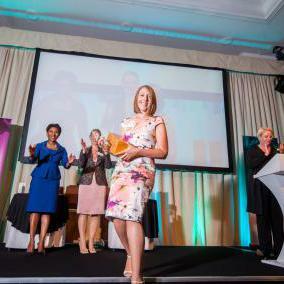 In 2014, she was the Deputy Event Director at Sport Inspired Games in Cardiff, coordinating more than 50 volunteers to deliver sporting activities to more than 500 primary school children. 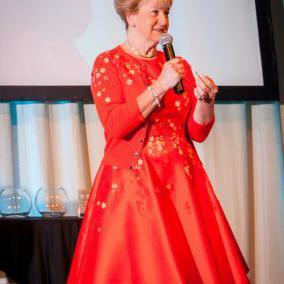 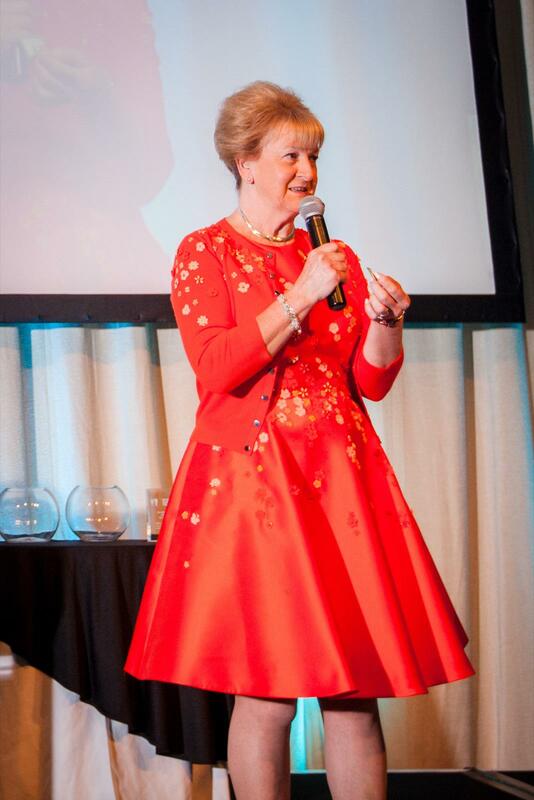 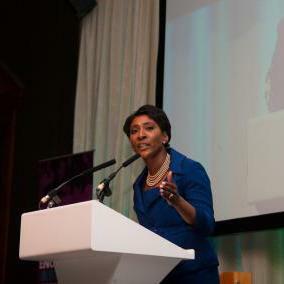 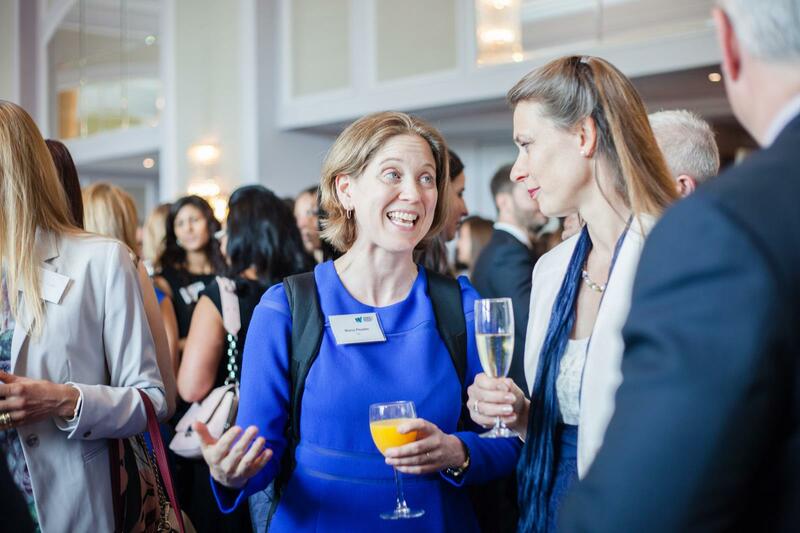 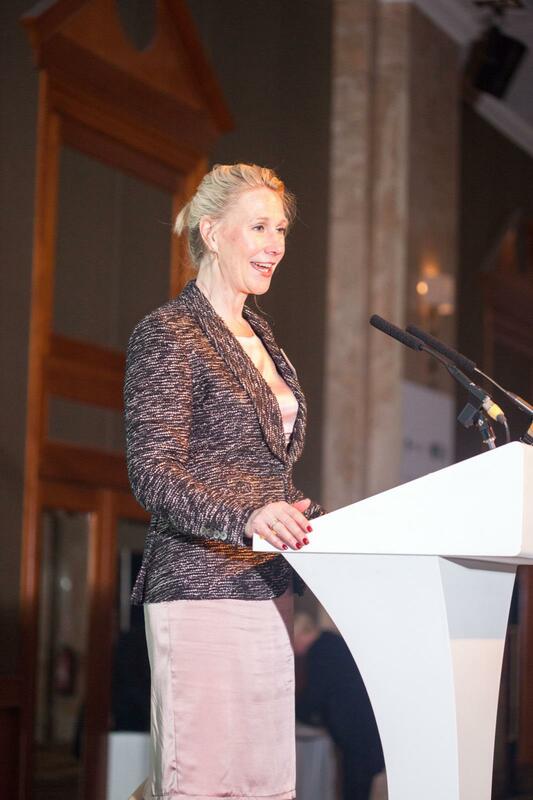 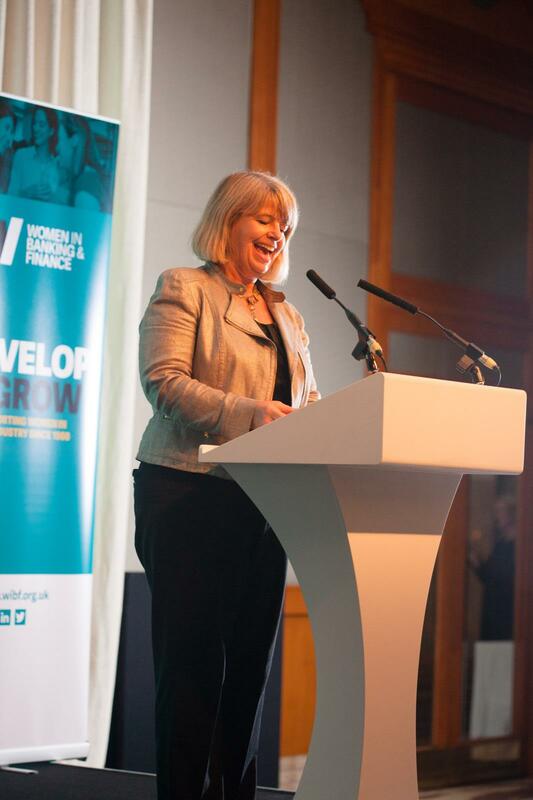 We are delighted that Noreen Doyle, Chair, British Bankers’ Association and WIBF Patron, will give the keynote speech at this year's WIBF Awards for Achievement Luncheon on Friday 10th June at the London Hilton Park Lane. 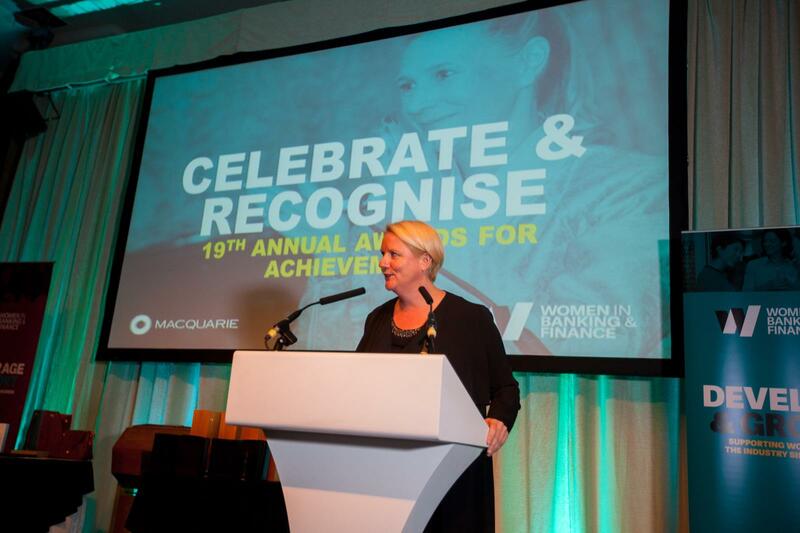 Join Noreen in celebrating the achievements of women working in banking and finance today.